Building custom pipelines doesn’t have to be hard. If you’re pulling from obscure sources or using custom APIs, our cloud function connectors help limit your engineering burden. If you’re a developer, these steps should be easy. If not, we can put you in touch with one of our partners. Using Go, Java, Node.js, Python, C# or F#, write a small function to fetch data from your custom source. Then write into our state logic to handle the incremental updating. 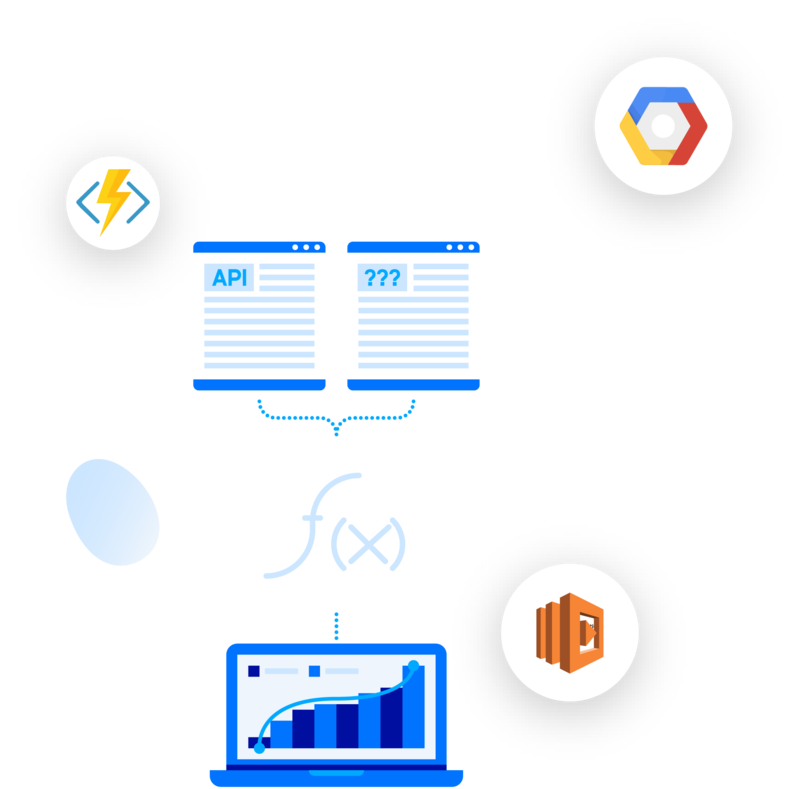 Host your code on Google Cloud Functions, AWS Lambda or Azure Functions. After you fetch the data, we’ll load it into your warehouse, calling your function as often as every five minutes to fetch new data, deduplicate it and incrementally update it.